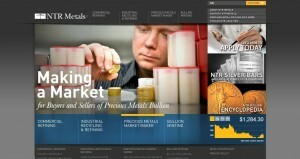 NTR Metals address, phone, website, and more. NTR Metals is one of the world’s largest precious metals companies, making a market in all precious metal bullion and offering a full range of refining, recycling and minting services. Our integrated strategy allows us to combine unique strengths and capabilities of each operating division. NTR Metals operates over 75 locations globally, and we serve more than 30,000 companies, ranging from small, independent businesses to large corporations. NTR Metals is not open to the public.